Brittany has a Bachelor’s of Science in Therapeutic Recreation from Lindenwood University. She was an intern and previous trainer for the U.S. Paralympic Sport Club of St. Louis, MO, known as DASA, Disabled Athletes Sport Association. 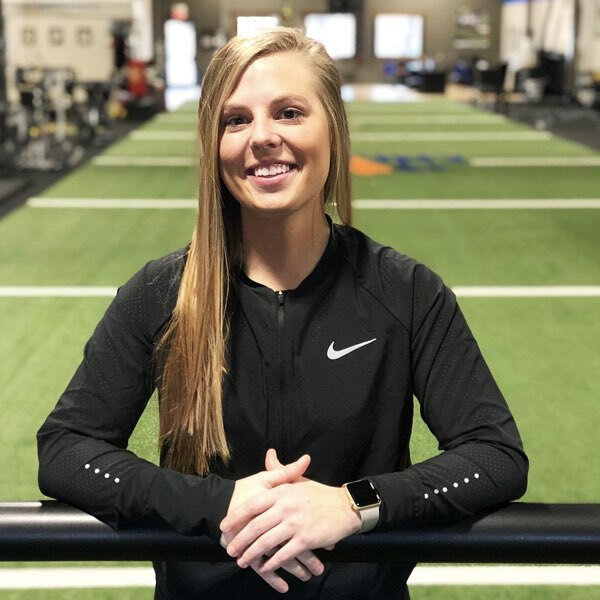 She now specializes in Adaptive Personal Training and is a Co-Founder of Emerge Adaptive Training Program, for athletes who are living with an intellectual and/or physical disability. She has worked with a large demographic of clients including TBI’s (Traumatic Brain Injuries), Spinal Cord Injuries, Autism Spectrum Disorder, Cerebral Palsy, Spina Bifida to the Deaf and Hard of Hearing population. She develops customized training programs designed to tackle life’s challenges by restoring and rehabilitating a person’s level of functioning and independence in life activities. There is a purpose behind the activities that are specifically targeted to each athlete. When individuals are living with a physical injury or developmental condition, they need help learning, not only how to live with their disability, but to enhance their quality of life by reducing the isolation that clients experience and helping them to participate in leisure activities; such as fitness and sports. Athletes who use her services become more informed and active partners in their own health care. Training sessions not only focus on strength and conditioning, gross motor skills, and body awareness but also, assists individuals in coping with the stress of a disability and prepares them for managing their life so, they may achieve and maintain optimal levels of independence, productivity, well-being, and quality of life. It’s Your Turn. Emerge Everyone. Adaptive.